NOTE: Click On The White Arrow Above To See The YouTube Video. 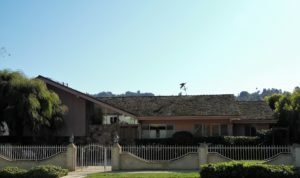 Does This Home Below Look Familiar From 1970’s Era Television? It’s “The Brady Bunch” House. 11222 Dilling Street, Los Angeles, CA Was Purchased in 2018 By HGTV for $3.5 million. The Sellers purchased the home in 1973 for $61,000! The Home Is Being Restored To Match The Sound Stage Sets (where the show was filmed). Much like the pipes under the home, the pipes in the lawn are made of different materials. 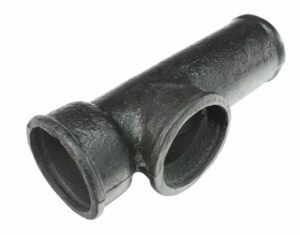 Depending on when the home was built (if the sewer lines are original) the pipes may be made of Clay, Cast Iron, or PVC. Homes built prior to 1980 most likely have clay sewer pipes connecting the house to the city’s sewer main line. Clay pipes naturally leak a little water at their connections. If there are trees within sight of a clay sewer line in the lawn, the leaking water will attract tree roots. Root infiltration typically starts with very small roots (called hair roots) entering into the joints of a clay pipe. As long as roots remain inside the pipe untreated or removed, they continue to grow and get larger. Over time roots can crush or crack the sewer pipe. Given enough time, tree roots will completely fill and destroy clay sewer pipe. NOTE: If the tree roots intrusion is caught in time, the roots can be removed with a commercial “Drain Snake” through the lawn pipes. In order to prevent damage in the future, this process must be done periodically. The time between cleanings is determined by the number of trees close enough to reach the sewer pipe. 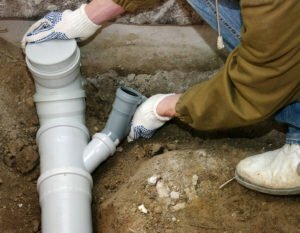 Al’s Plumbing, Heating & A/C Can Remove Tree Roots From Lawn Sewer Pipes (depends on the extent of roots intrusion). 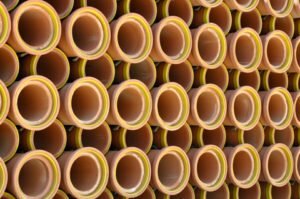 Without tree roots’ damage, clay sewer pipes can last up to 60 years. 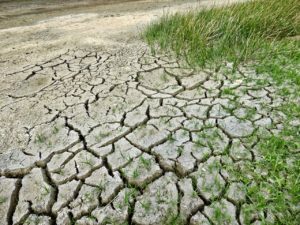 But, that’s less likely in DFW due to the expansive-clay soil (also called “reactive soil”) because it reacts to soil-moisture level. Expansive-clay soil affects 75% of north America and is everywhere throughout DFW. When expansive-clay gets wet, it increases in size. When it dries out, clay shrinks. The wetting & drying of a DFW lawn can move clay sewer pipes up & down. Because clay is brittle, the pipes can crack, chip or break as a result of recurring movement. Al’s Plumbing, Heating & A/C provides full service plumbing maintenance, repairs and replacements for every plumbing component in your home. Al’s sells and installs Rheem Professional Series gas & electric water heaters, and tankless water heaters. Al’s Plumbing, Heating & A/C is near your home in Richardson, Garland, and northeast Dallas. We service all homes in southern Collin and Denton Counties with no additional travel charge.